The 2018 NAAB Member Director Awardee is Myron Czech. Czech has exhibited leadership ability and commitment to the development of the A.I. industry for the past 27 years. He is a founding member of the Minnesota Select Sires Cooperative (1986), having served 26 years as a board member, as a multiple-term President of Minnesota Select Sires, a 15-year board member for Select Sires Inc. spending 9 years as an executive officer presiding over one of the strongest growth periods in company history, and service to other dairy breeding industry organizations as well. Myron Czech from Little Falls, MN graduated from the University of Minnesota in 1980 and started a career in dairying on his home farm, Pike Hills Dairy, with 23 cows. Myron, with wife Debbie, son Brent and daughter Micki (also U of MN graduates) still actively operate a much larger Pike Hills Dairy operation as he also purchased and expanded two other existing dairy operations in the area called New Heights Dairy. 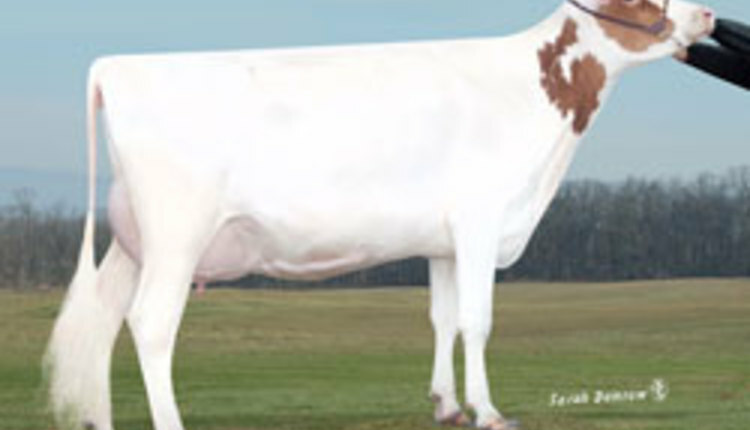 Combined, the Czech family dairy operations total over 3,100 cows. They also operate and manage the crop production for feeding the dairy cows and heifers on over 3,000 acres in central Minnesota. Along with overseeing these operations, Myron has been very involved in many leadership activities in the community and cattle industry, including: Morrison County DHIA- Board of Directors; Minnesota Holstein Association- Board of Directors and Board Officer and World- Wide Sires Board of Directors, 2013-2016. 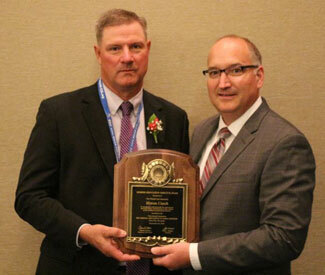 Myron was instrumental in the formation and development of Minnesota Select Sires Cooperative Inc. Initially, he was a delegate working with the formation of the cooperative in 1985. In 1989, he was elected by the membership in District 2 to the Board of Directors and served on the Minnesota Select Sires Board until 2016. During that time, he helped lead the cooperative to significant increases in sales growth revenue and market share. Myron also served as a board officer as Vice President from 1996 to 1998 and from 1998 to 2000 he was President of the Board. In March 2000, Myron Czech was elected to the Select Sires Inc. Board of Directors, serving for 15 years including 2nd and 1st Vice Chairman and then Chairman of the Board of Directors from 2013 to 2016. Myron served on the Farm and Building Committee, the Aggressive Reproductive Technologies Committee, the Pension Committee, and the Finance Committee through his tenure. A major accomplishment was his work on establishing the Aggressive Reproductive Technologies Committee in 2008 to allow Select Sires to embrace genomics and be a leader in the adaptation of genomic technologies for the industry. During his term as Select Sires, Inc. Chairman, he led the organization through one of the strongest growth periods in its history, growing 2.4 million doses in 3 years. He led the expansion of the organization through the construction of important new facilities and acquisitions. He also presided over the redrafting of Select Sires Bylaws, Articles of lncorporation and Federation Membership Agreements. His work as chairman revolutionized Select Sires' ability to grow and expand to meet the growing needs of dairy and beef producers worldwide. Out of appreciation and respect, his fellow board members elected him to a non-voting position, “Advisor at Large”, following the conclusion of his term. For his accomplishments, Myron was chosen as the first recipient of the University of Minnesota, Golden Graduate Award, established to honor alumni for making outstanding contributions to the dairy industry. Myron's significant contributions through his service to the dairy industry, Select Sires, and NAAB make him a very worthy recipient of t h e NAAB Member Director Award.